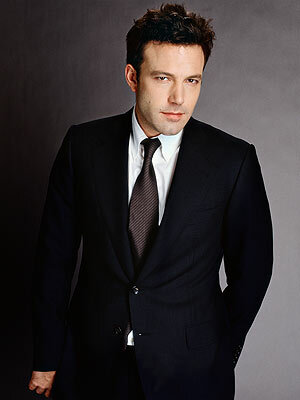 Benjamin Gage Affleck was born on 15 August 1972 at Berkeley, Alameda Co., CA.1 He was the son of Timothy Byers Affleck and Christine Anne Boldt.1 Benjamin Gage Affleck married Jennifer Anne Garner on 29 June 2005. Lt. William Goodrich was born on 8 February 1661 at Wethersfield, Hartford Co., CT. He was the son of Ens. William Goodrich and Sarah Marvin. Lt. William Goodrich married Grace Riley on 22 November 1680 at Wethersfield, Hartford Co., CT. Lt. William Goodrich died on 27 December 1737 at Wethersfield, Hartford Co., CT, at age 76. William Goodrich was born on 2 July 1686 at Wethersfield, Hartford Co., CT. He was the son of Lt. William Goodrich and Grace Riley. William Goodrich married Margaret Orvis on 14 May 1706 at Wethersfield, Hartford Co., CT. William Goodrich died on 31 March 1743 at Sharon, Litchfield Co., CT, at age 56. [S707] Madeline McLaughlin Allen, "Ancestry of Solomon Goodrich." Timothy Brittin Parker was born on 8 February 1962 at Iowa City, Johnson Co, IA. He was the son of Stephen Parker and Barbara Keck. Kathryn L. Prosser was born on 12 July 1923 at Osage City, KS. She was the daughter of Dr. Francis H. Prosser and Edna Russell. Kathryn L. Prosser married Elvin D. Perkins, son of Ralph Perkins and Zora Root, on 9 August 1944 at Osage City, KS. Kathryn L. Prosser died on 5 February 2012 at Emporia Presbyterian Manor, Emporia, KS, at age 88. She was buried on 11 February 2012 at Memorial Lawn Cemetery, Emporia, KS. Kathryn L. Perkins of Emporia died Sunday, Feb. 5, 2012, at the Emporia Presbyterian Manor. She was 88. Mrs. Perkins was a music teacher, organist and pianist. She was an active supporter of the community through work on community boards for social services, education and the arts. The daughter of Dr. Francis and Edna Russell Prosser, she was born July 12, 1923, in Osage City. She graduated from Osage City High School in 1941, and the College of Emporia with a Music Education degree, Pipe Organ major, in 1944. She married Elvin D. Perkins on Aug. 9, 1944, in Osage City. He survives. She was a member of the First Presbyterian Church where she directed the youth choirs, served as an Elder and was the organist for more than 25 years. She also served 12 years on the Board of Education and was a past-president, a term on the Board of Directors and was a past-president of the United Way of the Flint Hills, several years on the Emporia Arts Council Board and as past-president, and was a member of the ESU Music School Advisory Board. 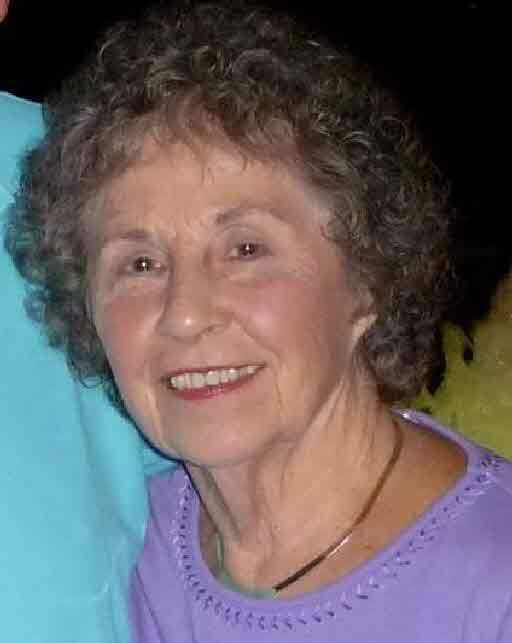 She was a charter member of the GT Chapter of P.E.O., a member of the Trend Club and a past member of the Mu Phi music sorority, La Sertoma Club and Emporia Social Services. She was a long-time member of the Saint David Society and organist for Saint David’s Day. She is also survived by two sons, John Perkins of Parkville, Mo., and Steven Perkins of Arkansas City; daughter Janet Jehle of Overland Park; eight grandchildren; and two great-grandchildren. She was preceded in death by two sisters, Frances Ashcraft and Shirley Simcox. A memorial service will be 10:30 a.m. Saturday at the Emporia Presbyterian Church West Campus. The Rev. Ron Phelps will conduct the service. The family will meet friends after the service in the parlor of the church. A private burial will be held at Memorial Lawn Cemetery. Instead of flowers, the family suggests memorial donations may be made to the Emporia Community Foundation for the Emporia Arts Council Endowment Fund. Donations may be sent in care of Roberts-Blue-Barnett Funeral Home, PO Box 175, Emporia, KS 66801. Messages to the family may be left at www.robertsblue.com. Edna Russell was born circa 1895 at CO. She married Dr. Francis H. Prosser, son of John Prosser and Ellenor (? ), circa 1920. Hannah Watrous married Fredrick Winthrop. Ellenor (?) was born in April 1855 at Wales.1 She married John Prosser circa 1880. [S743] Fred G. Baker, "John Baker." [S868] Fred G. Baker, John Baker, Vol. 1, page 5. [S868] Fred G. Baker, John Baker, Vol. 1, page 7. Mary Antico married Paul Herbert LaPlant, son of Arthur J. LaPlant and Gladys Marion Griffin. Geoffrey Craig Kugel was born on 17 May 1976. He was the son of Lauren Craig Kugel and Nancy (?) Geoffrey Craig Kugel died on 2 May 2012 at age 35. Geoffrey Craig Kugel (born May 17, 1976) went home to his Heavenly Father's arms unexpectedly on May 2, 2012. There are no words available to express this loss to those who were a part of Geoff's life here on earth. Those who knew Geoff knew love, honor, trustworthiness, gentleness, and unselfishness personified. His heart was open to anyone and everyone. He loved deeply and truly, and those in his presence knew undoubtedly that he was a very special man. The usual obituary details are not important, as he did not define himself by these things. He defined himself as a loving, loving husband; a devoted and amazing father; a faithful son; a kind brother; a fun and caring uncle; and accepting friendthough in his Christ-like humility, he actually would have shunned all these accolades and diverted the praise to someone else. Those missing him with all their hearts include his wife, Nicole Kugel; his children George and Annie; his parents, Craig and Nancy Kugel; his sisters and their spouses, Kathy Albright and Missy Smith; nieces; nephews, friends, neighbors; co-workers; and anyone who spent time in his presence. A celebration of Geoff's life will be held on Sunday, May 6, 2:00 p.m. at Immanuel Baptist Church of Greensboro. The family will receive friends following the service at the church. In lieu of flowers, memorials may be made to the Lottie Moon Missions Offering, C/O Immanuel Baptist Church, 2423 High Point Road, Greensboro, NC 27403. Hanes Lineberry Sedgefield Chapel is assisting the Kugel family. Bertha Ann Clayton married James Norrish Holcombe, son of K. Jay Holcombe and Ida Ellen Bush. [S750] Chantel Russell, "Edward George Humphrey," e-mail to James H. Holcombe, 9 May 2012.